This class is an introduction for you and your dog to the fast-paced, ball-crazy sport of Flyball. Any breed or mix can compete in this relay race with tennis balls and dogs LOVE playing this game! 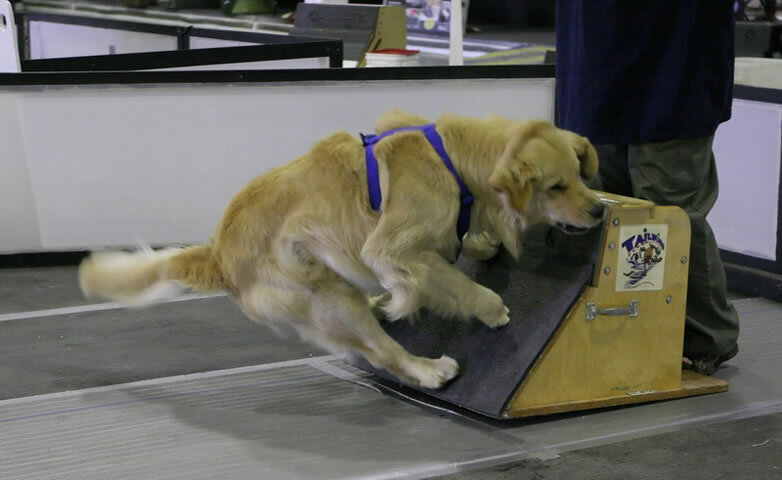 Learn the skills necessary to set the foundation for a solid "swimmer's turn" on the flyball box. Dogs will work off leash. Graduation from Basic Manners, Radical Recall, or equivalent is a prerequisite for Flyball. This class is a follow-up to introductory level. Put it all together ...the jumps, the box, the tennis balls! Perfect timing, passing, and working as a team. This will get you prepared for exciting Flyball competition. Graduation from Level 1 Flyball is a prerequisite. 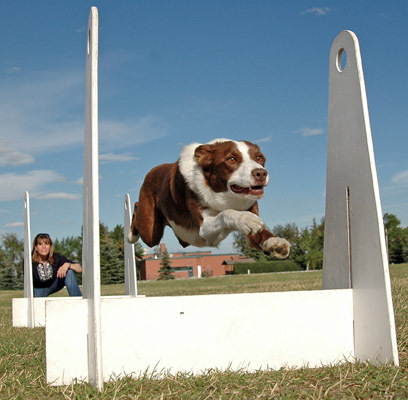 Rally-O is a newly recognized event by the Canadian Kennel Club and is the fastest growing canine sport in North America! Learn the skills and challenge your dog in a fun, stimulating combination of Obedience and Agility. Paula, our Rally-O instructor, has been involved in training dogs for over 10 years. She holds the CPDT-KA certification, Certified Professional Dog Trainer – Knowledge Assessed. She also holds memberships in APDT (Association of Professional Dog Trainers) and CPDT (Canadian Association of Professional Dog Trainers). Paula trains and competes with her dogs in various dog sports with both her current and past dogs. 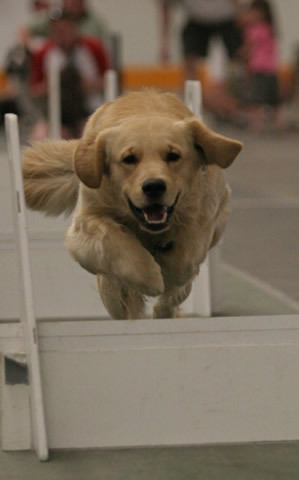 They include Agility, Flyball, Rally-O, Tracking, Freestyle, Conformation and Obedience. Paula’s training methods are based on the scientifically based Positive Reinforcement methodology. This is a kind and fair method of teaching companion animals new skills. It rewards/reinforces the pet for the correct behavior. The joy and uniqueness of this sport is that it is totally positive, fun interaction with your dog while building a strong relationship that can lead to successful competition in the ring. We offer 2 levels of Rally Obedience. Novice Rally Obedience is a continuation of Rally Obedience that will focus mainly on running through courses with your dog.